A 13-foot putt. Firm, straight, perfect. The audience of Royal Troon hold their breath while Phil Mickelson ball caresses the hole, he makes a tie and is a couple of inches to make golf history. 28 players over the last century have signed rounds of 63 strokes in a Grand. mythical rounds like Jonny Miller at Oakmont in ’73, Nick Price in the 86 Masters, Nick Faldo at Royal St. Georges in 1993, Chema Olazabal at Valhalla in 2000, Tiger Woods PGA 2007… But none of them had signed a 62 in a Major. 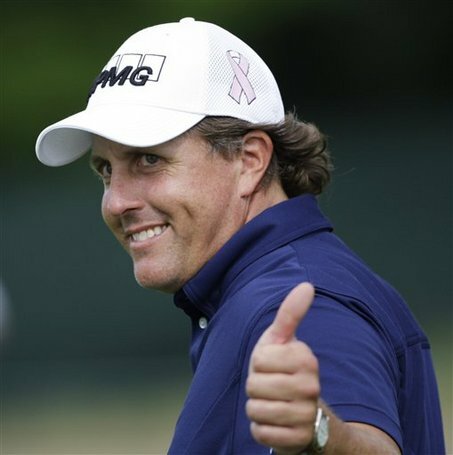 Mickelson could do it and failed, but never stop smiling. The British public cheers him. Like the time in Phoenix kicking for 59 hits, as so often in the US Open, the only major tournament that is missing on his resume. Mickelson began to make history. The 8th hole of Royal Troon, the dreaded “Postage Stamp” the lefty from Arizona takes the wedge of the bag and runs a delicate and wonderful swing towards the tiny green, but does not change the act to see how his ball grabs to stay inches away from the hole. The best shot of the day at the best time. The turning point in a turn that could be legendary. Not a single bogey in 18 holes. Birdies at affordable 2, 4 and 6. Birdie at 10 to face the second 9 looking out the lead. Long in the 14th putt, one taken from bunker manual in the 16th to give a new opportunity for birdie, a solid from the 17 and a final pair leaving him three shots ahead of last year’s winner, his countryman Zach Johnson, Patrick Reed and German Martin Kaymer at the close of this edition. For Patrick Reed, the motivations are different. The American, who signed a -5 with the added merit of playing in a morning shift with worse weather conditions, is not particularly popular in Scottish Highlands after a loud confrontation with the public in Gleneagles during the Ryder Cup 2014 … nor much of his countrymen actually “Reed is a professional golfer who looks like a wrestler dressed to go sailing”, Dan Jenkins wrote. And this 25 year old public image does not run parallel to a remarkable record in less than five years on the circuit, but plays an ever offensive and colorful golf, looking for flags as its stratospheric eagle on the 3rd hole, a firm and straight blow, without looking for the effect, taking the hole to assault after a couple of small hits, a perfect example of how to play a link.